SupraStore Brand Parts - BRAND NEW ADDITION FROM SUPRASTORE!! HIGH PERFORMANCE RADIATOR WITH 45% MORE CAPACITY THAN STOCK! FREE SHIPPING!! 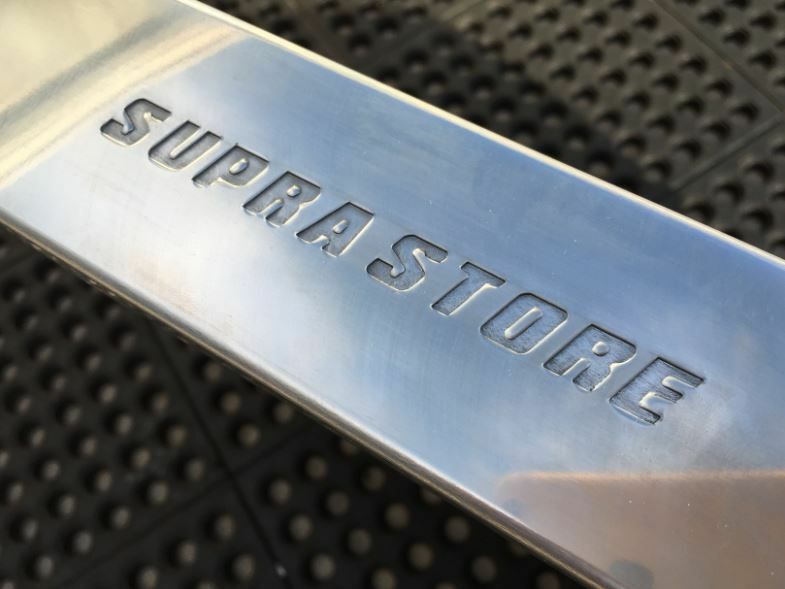 Home POWERHOUSE RACING, SUPRASTORE & MORESupraStore Brand PartsSupraStore MkIV King Cold Radiator Kit 1993-2002 Supra Aluminum FREE SHIPPING!! 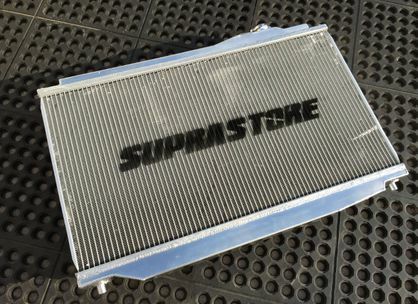 SupraStore.com is proud to introduce our 1993-2002 MkIV Supra TT "King Cold" radiator! We decided to add our own brand of radiator to the market as a superior quality option to the less expensive ones available. These have terrific fitment and performance, and certainly one of our best products available! Unlike some aftermarket brands such as KOYO, this version does in fact come with the radiator cap, and even SupraStore upper and lower radiator hoses!! What else do we include now? FREE CONTINENTAL SHIPPING!! A performance radiator, higher pressure relief cap and the right combination of distilled water, Water Wetter (or similar) and anti-freeze is a fantastic upgrade to any performance motor. Keep in mind this has larger dimensions than stock! The factory radiators do a good job cooling street cars, but increase the boost, install a larger turbo and track your car, then the demands of the factory radiator are exceeded. With more cooling capacity/efficiency our radiator is a must for any Supra performance enthusiasts. Maintaining lower operating temperatures when really pushing your car helps minimize detonation and overall performance. Why a higher pressure radiator cap? This is a MUST for any performance car as it increases the fluid boiling temperature inside the cooling system. If the fluid boils, you lose cooling instantly and it isn't long before damage occurs. For warm weather climates where your car never see's freezing temperatures, we like to run 25% anti-freeze (for lubrication mainly), one bottle of Water Wetter (or similar surfactant) and the remainder distilled water. 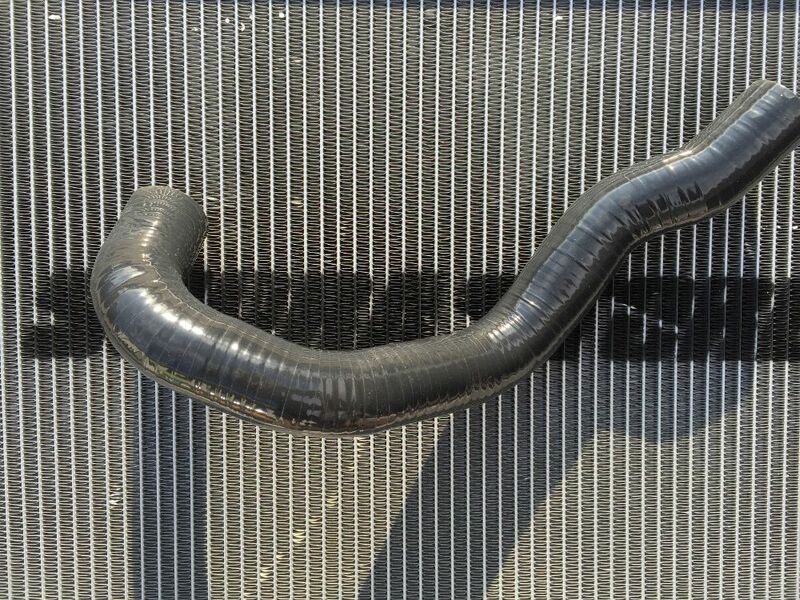 Never ever use tap water in your performance radiator as the minerals are a magnet for corrosion. For colder climates move closer to a 40/60 ratio (coolant/water). If you're tracking you car at most any certified track, many will not allow anti-freeze because if it spills on the track, the track becomes like an ice skating rink (slick). For track days, use a 1.3 bar or higher radiator cap, one bottle of Water Wetter (or your fave surfactant) and the rest distilled water. After track day, drain some water and add some anti-freeze. This radiator includes a 1.8 bar one, so it should be more than adequate. 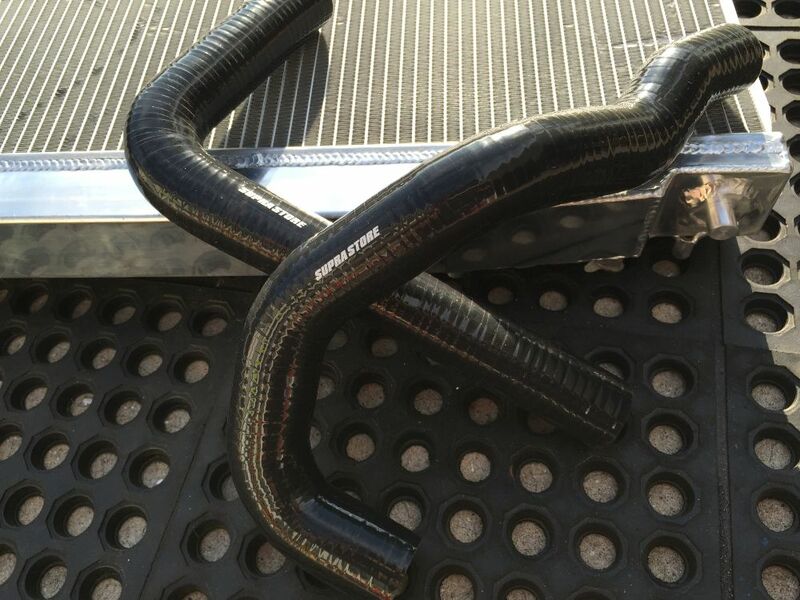 Our all aluminum TIG machine welded dual-core performance radiators are designed to provide maximum cooling in both street and track cars. Produced in the second largest performance radiator factory on the planet, exclusively for us. These are a drop-in replacement for the 1993-2002 Toyota Supra 6 speed, and will fit perfectly with auto cars as well, but note that with an automatic, you will need to switch to a remote transmission cooler. 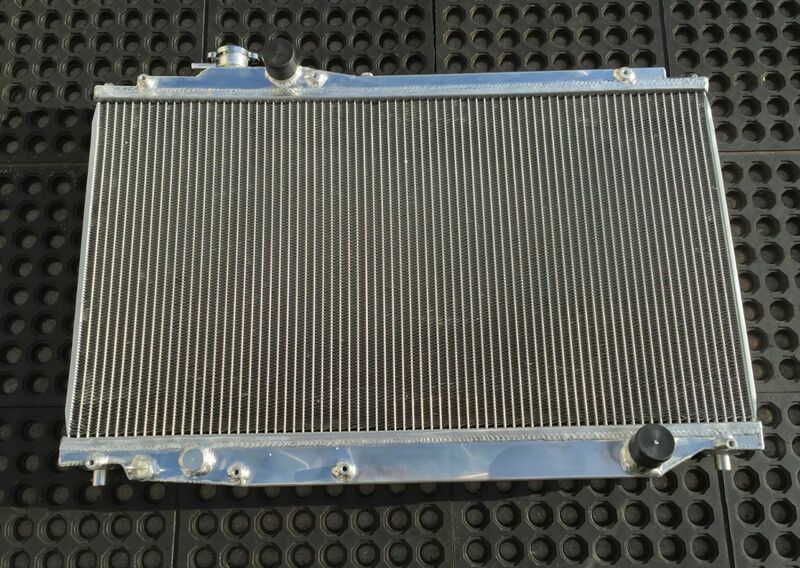 All of our radiators are highly machine polished and look great in the engine bay as well. We offer a no questions asked warranty for the life of the product (original owner only). This is a complete kit, ready to install with nothing else needed to purchase except your favorite cooling fluid. 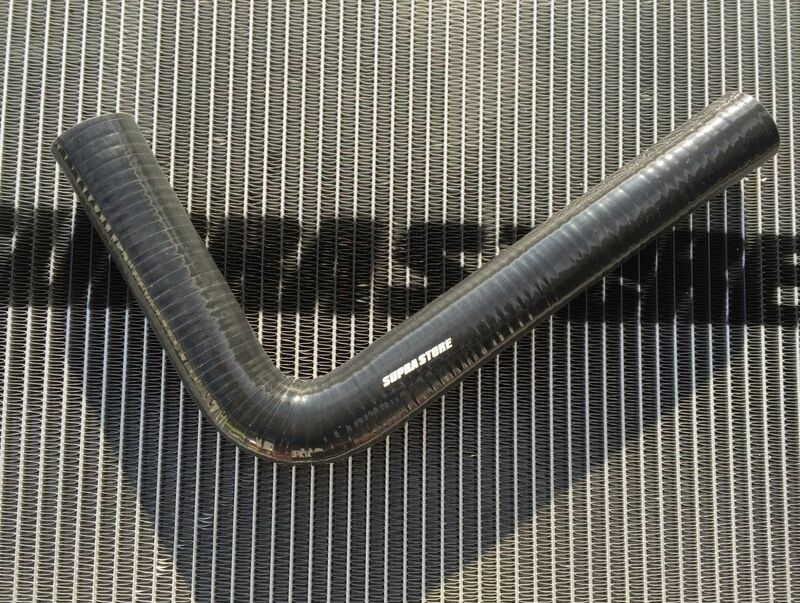 (1) New upper and lower radiator hose (multi-core and higher resistance to heat cycling than factory. This forms our complete kit. Rest assured more cooling offers more performance for those long hard runs, track days or daily driving in traffic with the A/C blasting. These kits compare and/or exceed the performance of Fluidyne, Koyo, etc., and are more budget friendly as well, so you have the best of both worlds. High performance with robust quality and a price that keeps you happy. 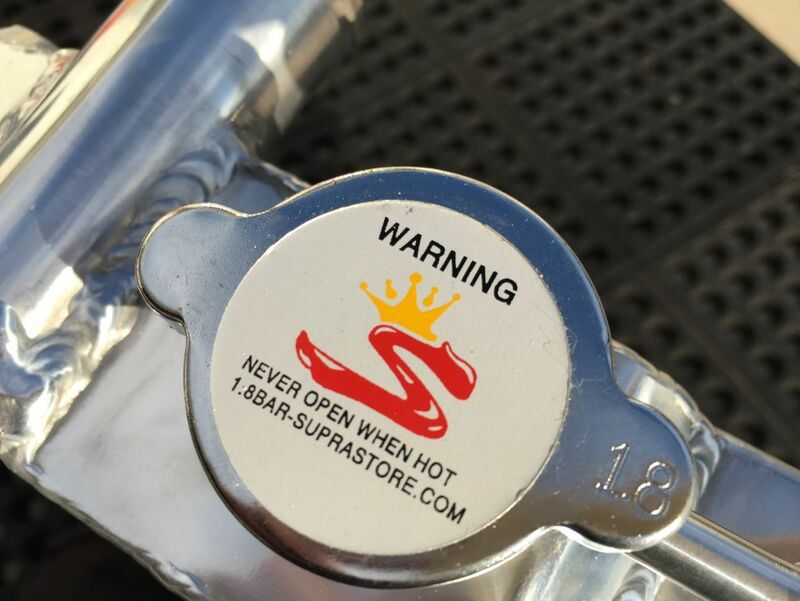 We toss in the best hoses and a 1.8 bar pressure rated cap as well. NOW AVAILABLE WITH FREE SHIPPING!! !